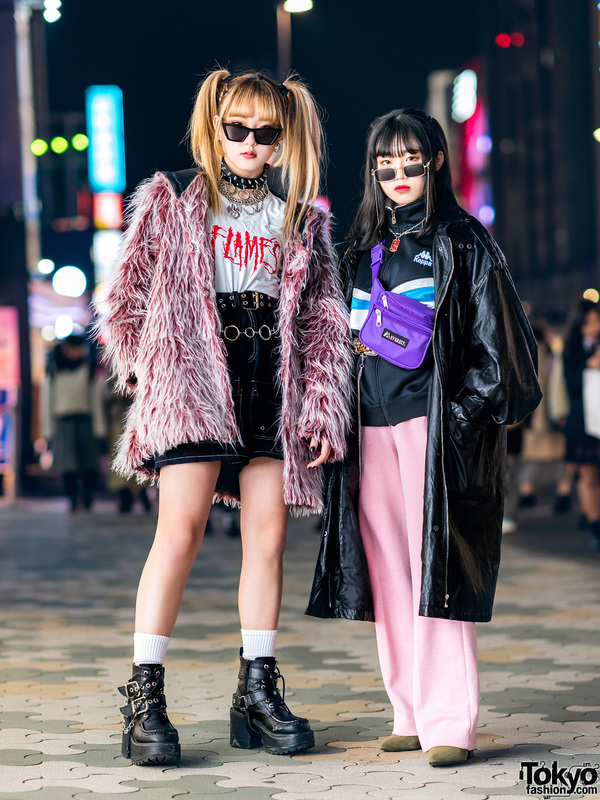 Harajuku shop staffers sporting monochrome styles while out and about on the street. Japanese student sporting an all blue streetwear style while out and about in Harajuku. Harajuku student sporting a sleek vintage workwear style with striped cowl neck dress while out and about on the street. 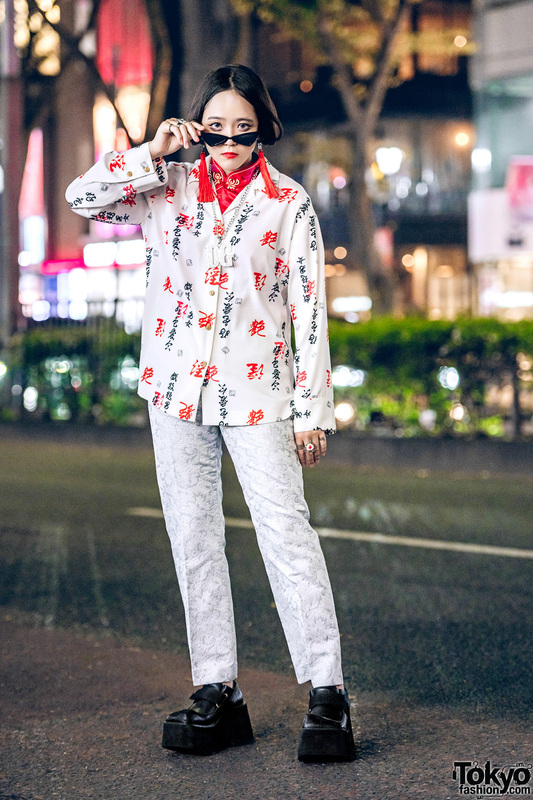 Harajuku teen sporting a resale outfit with layered satin tops, layered skirts, a corset belt, a gold sling bag and patent leather shoes. 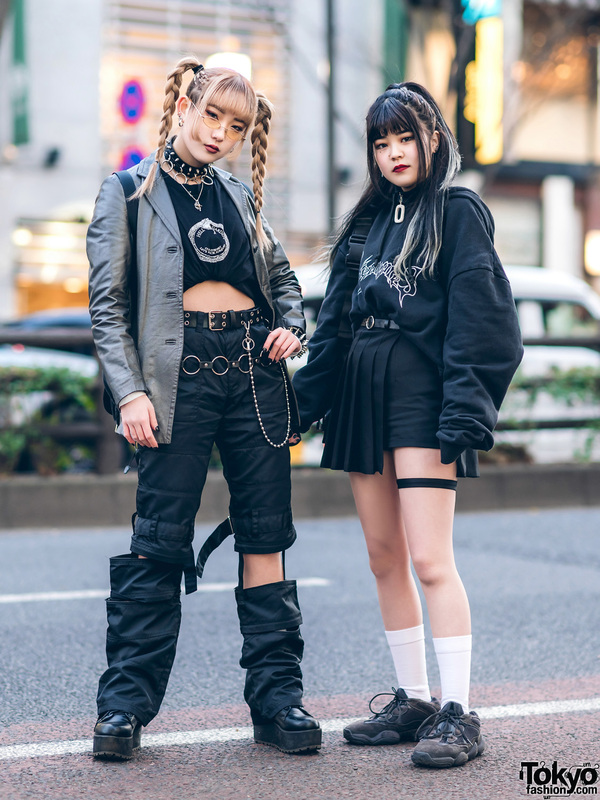 Harajuku girls sporting monochrome streetwear styles with a Chill Shawty hoodie, fishnets, thigh high boots, double-breasted coat, crushed velvet jumpsuit and gold sandals.